Fifty years of research to make "Cast Iron Signs of Pennsylvania Towns and Other Landmarks." 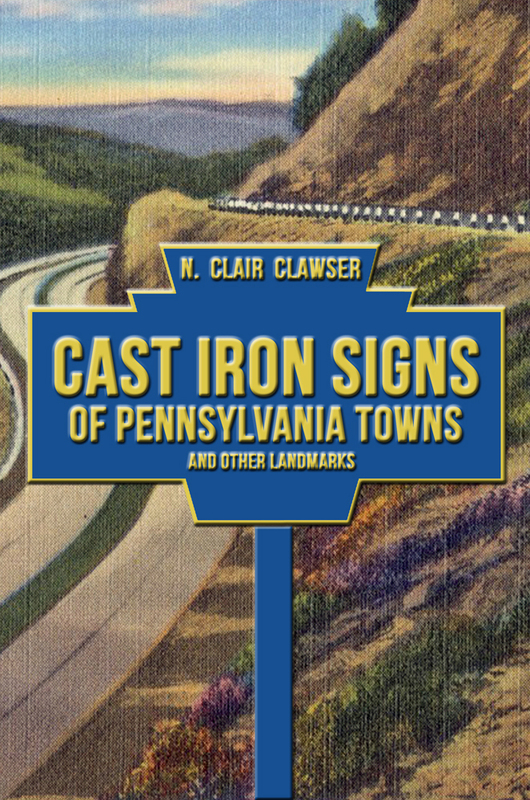 MECHANICSBURG, Pa. — Sunbury Press has released Cast Iron Signs of Pennsylvania Towns and Other Landmarks, N. Clair Clawser’s compilation of early roadside markers in the Keystone state. This entry was posted in book releases and tagged automobile history, cast iron signs, clair clawser, early roadsigns, travel history. Bookmark the permalink. ← Is the future duke hiding as an opera singer? 12-year-old Franni knows and won't tell.